The Plan for Oak Park and Centennial Hill is a guide to rejuvenating the landmark city park and the surrounding historic neighborhoods. Oak Park dates back to 1899, but since that time the initial design has been compro mised by extensive gating and a growing maintenance facility building. The plan opens up the park, relocates the maintenance facility, and adds exciting new amenities like a restaurant and splash park. Centennial Hill was an affluent middle class African-American community after the Civil War, and up until the early 1960’s. However, since that time, the area has experienced significant decline. 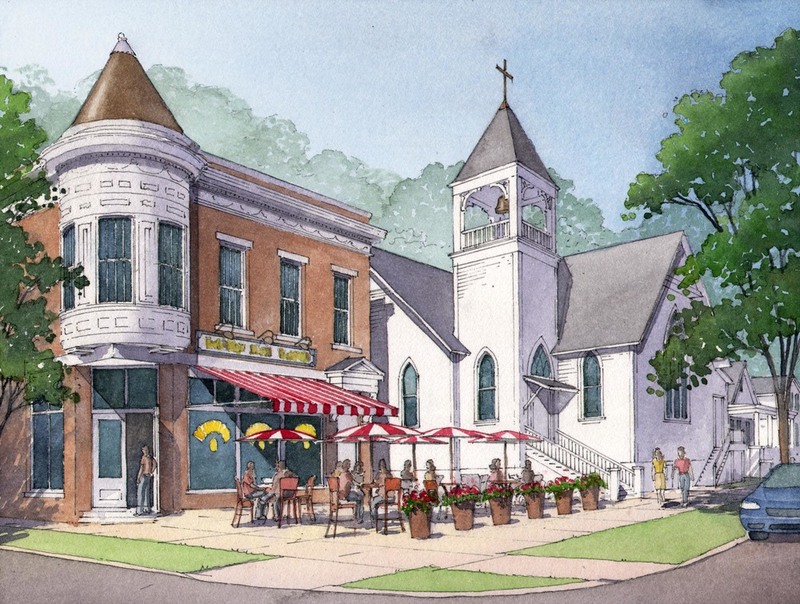 The plan aims to restore the historic housing fabric, network of pedestrian-friendly streets, and former main street environment, in tandem with planned growth at neighboring Alabama State University and Jackson Hospital. Dover, Kohl & Partners worked with Hall Planning & Engineering and Urban Advisors to create the Plan for Oak Park and Centennial Hill. Implementation in Centennial Hill has already begun with small developers like the Centennial Hill Gardening Project, Inc. who were able to take the risk of being a first mover in the area. In recent years, their efforts to engage the community, build new duplexes, and complete building renovations have increased in the neighborhood. These efforts will be further assisted by tax abatements and historic preservation tax credits. Public/private partnerships, like the Housing Authority’s teaming with for-profit developers to redevelop Tulane Court, will add a large infusion of new residents. While Tulane Court will provide residences for a wide range of incomes and ages, young professionals affiliated with the hospital or university, empty-nesters, and retirees that are expected to be the first new residents of Centennial Hill and surrounding neighborhoods.